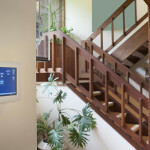 Here we’d like to share some excellent HVAC energy saving tips for your home to help you save energy and money. Did you know that heating and cooling accounts for over half of the energy used in a typical U.S household, making it the largest energy expense? Read through these great energy saving tips for reducing your heating and cooling costs. Contact us today to see how 217, Inc. can help keep more money in your wallet! Reducing your heat setting from 140 degrees to 120 degrees can save you money while keeping your water hot enough for showers, laundry, and cleaning dishes. If you plan on leaving home for a few days, consider turning your water heater off. 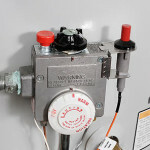 Most models can reheat the water to the desired temperature within a couple of hours. Always be cautious when making adjustments to any of your home comfort equipment. When in doubt, call 217, Inc. for assistance. used during colder months. Low humidity levels can cause you to feel cooler, and want to run your heating system more frequently or at a higher temperature. 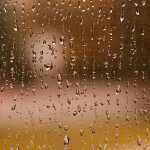 Dehumidifiers remove excess moisture from the air and are ideal for the hot, humid Illinois summers. High humidity can make you sticky and uncomfortable, forcing your cooling system to work harder. 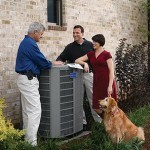 Upgrading your cooling system to a more energy efficient air conditioning unit that can control humidity can help too. See an Example Here. Leave curtains and blinds open during the day throughout the cold winter months, and let the sun add some extra warmth. During the hot summer months, keep things closed up so that you’re not allowing unnecessary heat in. Just don’t rely on the sun too much! 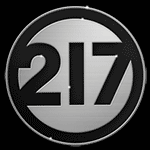 If your home doesn’t seem to be heating or cooling properly, 217, Inc. is only a click or call away. When shopping for a new furnace, look for high Annual Fuel Utilization Efficiency (AFUE) ratings. The minimum rating in the U.S. is 78% AFUE, but there are ENERGY STAR® models available that exceed 90% AFUE. For air conditioners, look for the highest Seasonal Energy Efficiency Ratio (SEER). While the current minimum is 13, ENERGY STAR® models are 14.5 SEER or more. For a FREE estimate, contact 217, Inc. today! Ceiling fans use approximately the same amount of electricity as a light bulb. Switch the fan to turn counter-clockwise in the summer and clockwise in the winter. Cool air collects near the floor, while warm air rises. 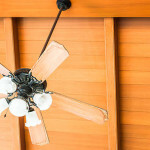 Ceiling fans push air down, forcing the cool air at the floor to circulate. This keeps you cooler in the summer and warmer in the winter. Contact us today if you’d like a recommendation! Even the slightest chilly draft can make a home uncomfortable during a long winter. Review your home’s caulking and weather stripping, and check your attic and/or crawl space to make sure there is plenty of insulation adequately placed. A depth of 10-14 inches is considered optimal. 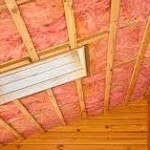 Reduce your heat loss! If you prefer to have a pro inspect your home, call 217, Inc. today. Programmable thermostats save money without sacrificing comfort by using less energy to heat and cool your home while you’re away or asleep. Newer models are much more accurate and convenient to use than manual thermostats, and don’t contain toxic mercury found in traditional models. Schedule an appointment today to see which programmable model is best for you and your home!